An intranet is the main communication and collaboration tool of an organization. It is designed to be the entry point of all users to the IT applications of the company. 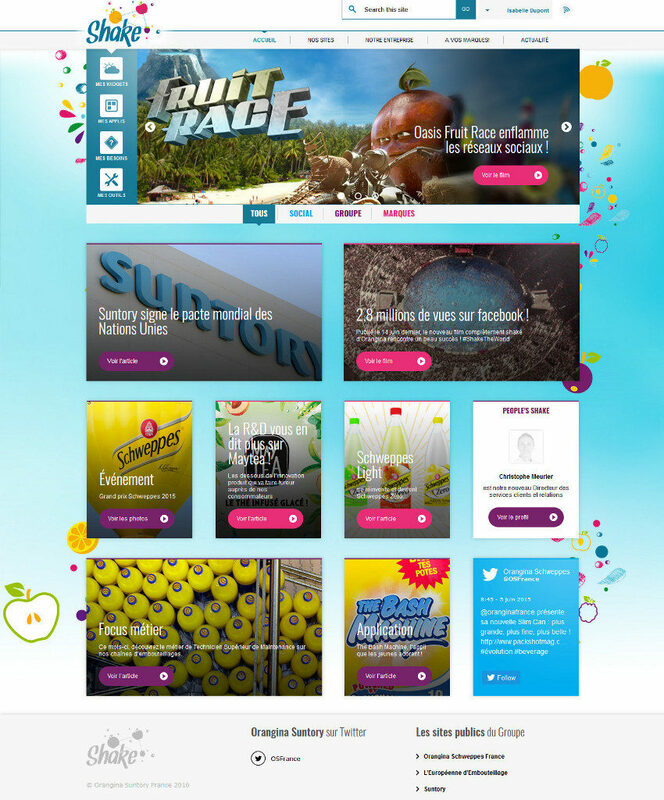 On an intranet you can publish news, upload videos and share calendar. For that matter most intranets now integrate with the most famous ESN (Enterprise Social Networks) like Yammer or Chatter. 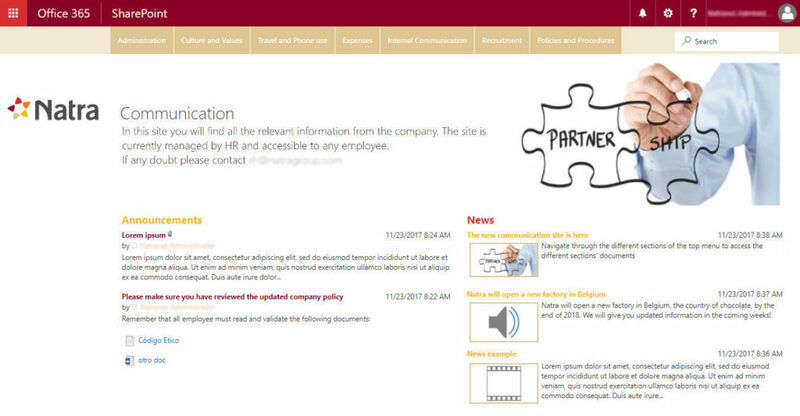 With SharePoint the intranet includes as a document management system where users can share and access documents in an easy but controlled way, thanks to the use of versioning and approvals. With SharePoint you can integrate management systems inside the intranet itself. It allows, for instance, to manage holiday requests, setup a suggestions box, define work teams, follow-up projects or manage the company’s training information. Having a proper corporate identity does not only mean your intranet has your logo displayed, and is styled with your corporate colors. 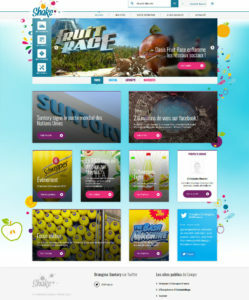 At IXIT we know that most intranets are not the funniest and nicest ones when it comes to User Interface customization. 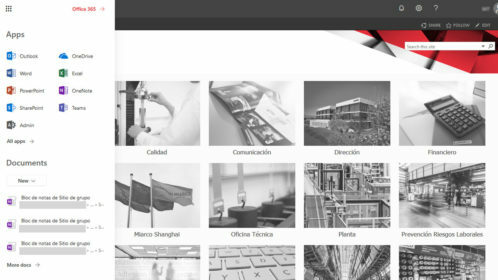 We can obtain very original, dynamical and nice designs that give a plus to your intranet, it also facilitates a rapid adoption from the users that can be reticent in the first place. SharePoint Online fully integrates with the Office 365 suite. The users can synchronize documents with OneDrive, the can create workgroups in Teams, follow-up projects with Planner, etc. With Office 365 the intranet becomes global and is not limited to SharePoint Online. You plan to set-up a new intranet or update an existing one, and you have some doubts?